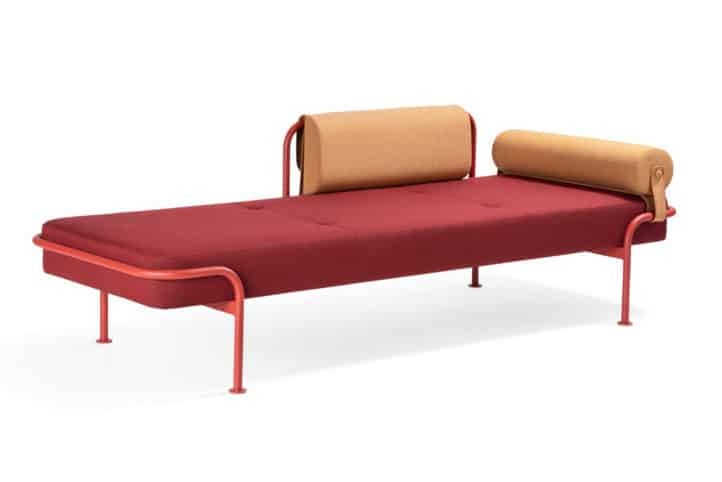 A flexible daybed characterised by an interesting contrast of textiles and steel. The austere, yet soft, design permeates the entire piece. Available extras are a bolster and a back cushion, both of which can be removed thanks to the beautifully upholstered buttons. The backrest can be mounted on either side. Today fits in well in open office spaces, lounges or rest areas. Frame in chrome or CbM* powder coating.